You've seen the Toyota GRMN iQ Racing Concept (lucky you! ), and now it's time to divert your attention towards the rest of the Japanese automaker's wares being shown off at the Tokyo Auto Salon. 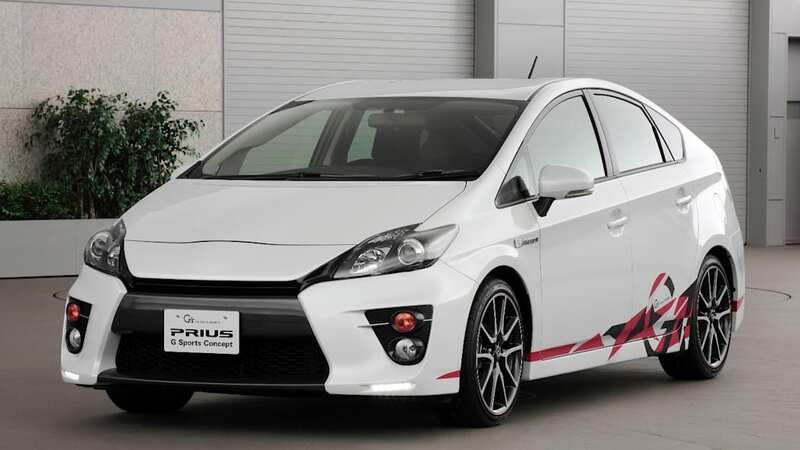 First up is the Toyota Prius G Sports Concept (pictured), which features the kind of gaping maw only the Mama Cylon could love. 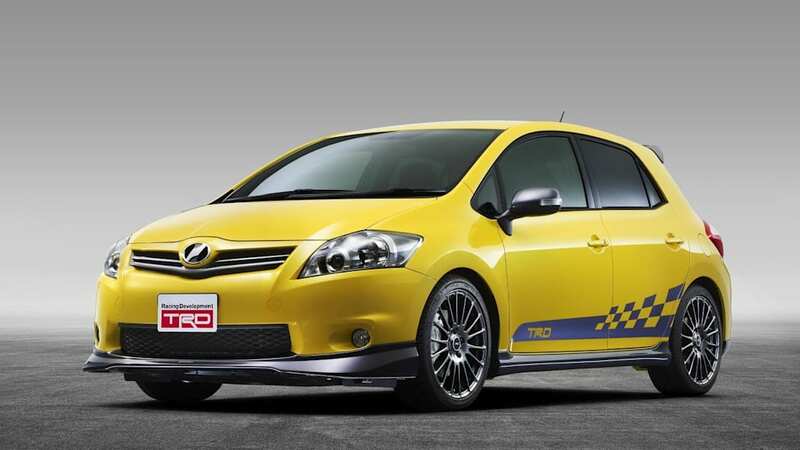 Rounding out Toyota's offerings is the TRD Auris GT Concept, which we think actually looks kinda nifty with its subdued body kit and blindingly bright yellow paint. 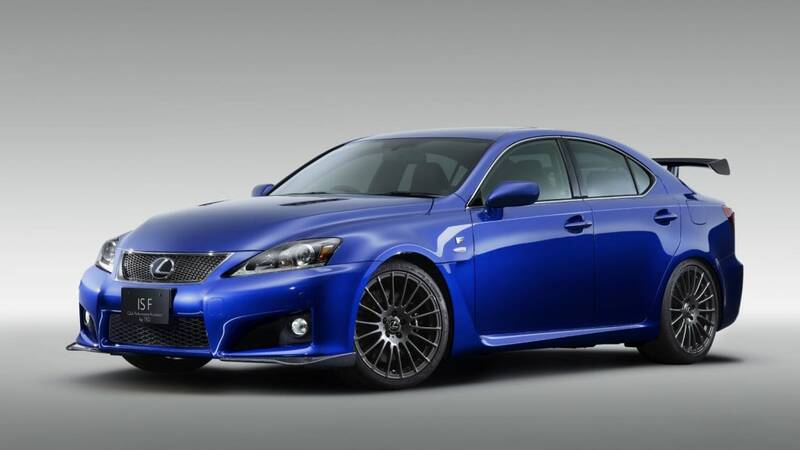 Lexus wasn't left out of the proceedings either, and its machines are arguably more interesting than its mothership's. 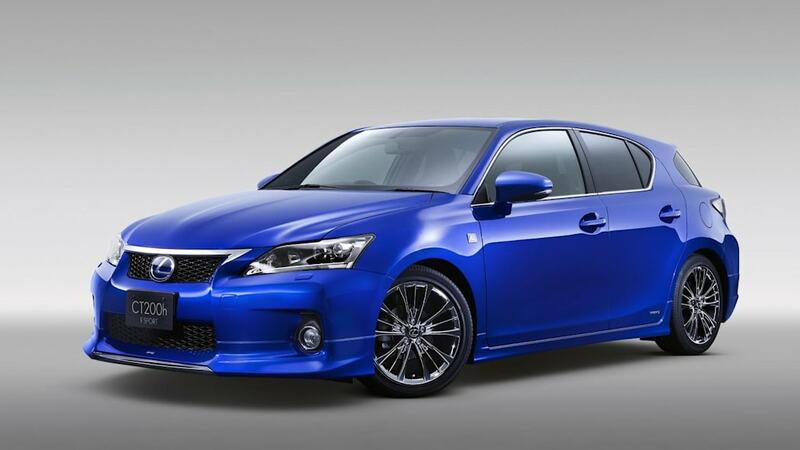 There's the F-Sport CT 200h (a future production model) taking center stage with its unique alloy wheels, body kit and Recaro seats, which is joined by the IS F Club Circuit Sports Racer and a set of Club Performance Accessories for the IS F that include front and rear spoilers and a carbon fiber hood. 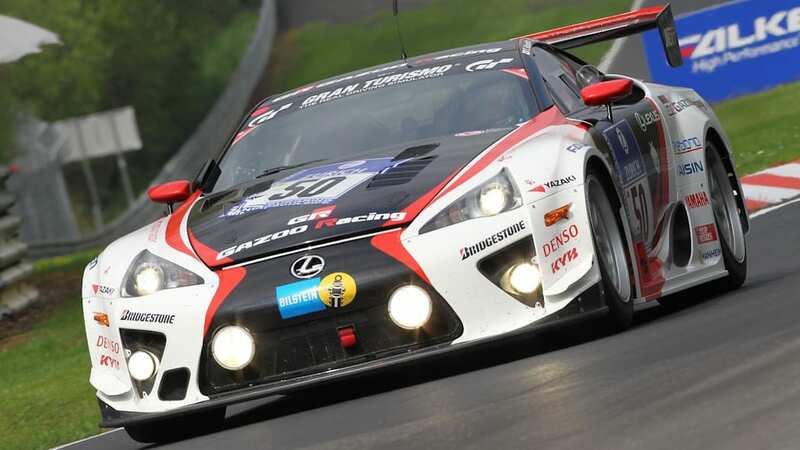 Last but certainly not least is the Gazoo Racing Lexus LFA supercar that raced at last year's Nürburgring 24 Hours race. See both sets of vehicular craziness in our high-res image galleries below, then check out all the details in the press releases after the break. Small in size but big in attitude, a pumped-up, track-ready interpretation of the super-smart iQ city car leads a posse of tuned and tweaked Toyota concept and production cars at the Tokyo Auto Salon. The world's largest annual aftermarket parts show, taking place (14 to 16 January) gives leading tuning firms and custom car specialists the chance to demonstrate their engineering and design skills, from mild sports accoutrements to the wilder fringes of auto design. 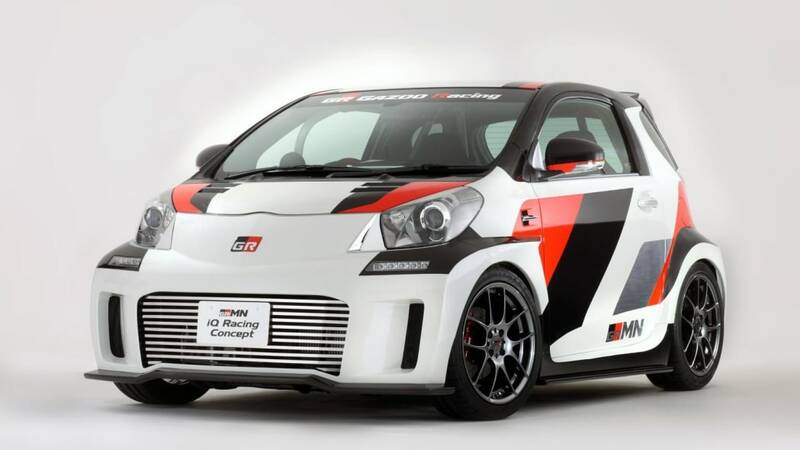 The GRMN (Gazoo Racing tuned by MN) iQ Racing Concept is the latest interpretation of Toyota's smallest model by its motor sport competition partner. It's a stand-out model, with its deep front air dam, huge lower air intake and racing wheels, but it is not just about looks: fitted with a tuned- supercharged engine and a roll-cage, it's cut out for track action. It has a strong heritage too: Gazoo's previous iQ concept car was given a limited production run in Japan that sold out immediately in 2009. G Sports (G's) have also contributed to the Toyota presentation with Sports Concept version of Prius, with TRD adding an Auris GT Concept. As well as the cars, Toyota is hosting interactive events at the show, including forums with engineers and racing drivers and virtual driving competitions in Metapolis, an on-line community created by Gazoo Racing. Even though its public launch is still a few months away, the new CT 200h was revealed in special F-Sport guise, with an array of sporting accessories including alloy wheels, a body kit by Modellista and Recaro sports seats. It was joined by two new versions of the ultra-high performance IS F: the CCS-R (Circuit Club Sport Racer) and Club Performance Accessory. The CCS-R is true to the tradition of lightweight track saloons, featuring carbon fibre body panels, including front and rear spoilers, bonnet and boot lid, and a new frameless construction roll cage and polycarbonate windows. Inside there's further extensive use of carbon fibre for the dashboard, centre console and door trims, while the racing details extend to a six-point safety harness and short-diameter steering wheel with paddle shifts. The car is performance-engineered, too, with racing suspension, brakes, cooling and exhaust, plus a mechanical limited-slip differential and forged alloys shod with slick tyres. TRD (Toyota Racing Department) has created the IS F Club Performance Accessory, giving the most powerful member of the IS family an even bolder appearance with spoilers fore and aft, a rear diffuser and a carbon fibre hood. Again, more carbon fibre material is used in the cabin, along with sports seats finished in bright orange. Sports suspension and brakes, a titanium exhaust, magnesium wheels and a mechanical LSD complete the package. 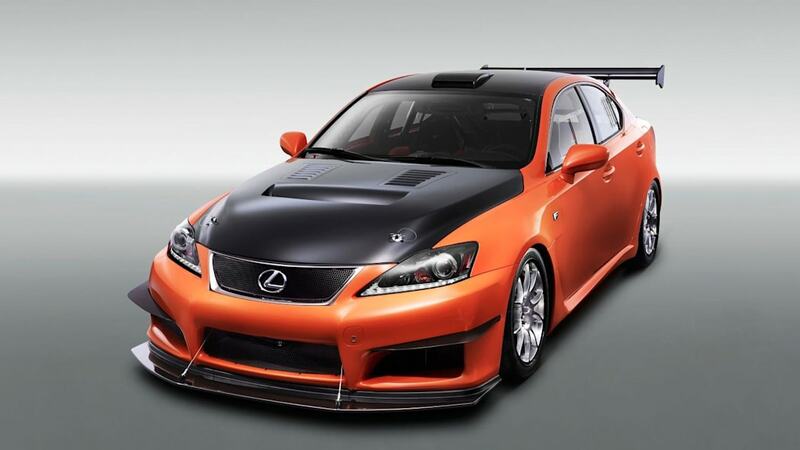 Gazoo Racing presented its racing version of the Lexus LFA supercar, which enjoyed success at last year's Nürburgring 24 Hours race, and TOM's offered a new interpretation of the LS 460 limousine.